Kira Kazantsev tees off in Cabo at Palmilla Golf Club! We've got Stay & Play packages to the One & Only Palmilla in Cabo. Visit https://www.golfadvisor.com/getaways/golf-packages/los-cabos-golf-packages/the-one-only-golf-package for details. Thinking about a trip to the South Carolina coast? We've curated our most useful Hilton Head Island content into one place. It's in the hole! You'll need a good bunker game when playing Harbour Town Golf Links, site of this week's RBC Heritage. Join us on one of our upcoming getaways in 2019, including Sandestin, Tennessee and Turning Stone Resort! Click here to browse some of the best golf getaways curated by the experts at Golf Advisor. 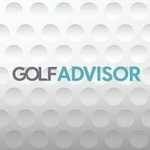 Golf Advisor curates the best golf experiences around. What a hole! What a putt! !